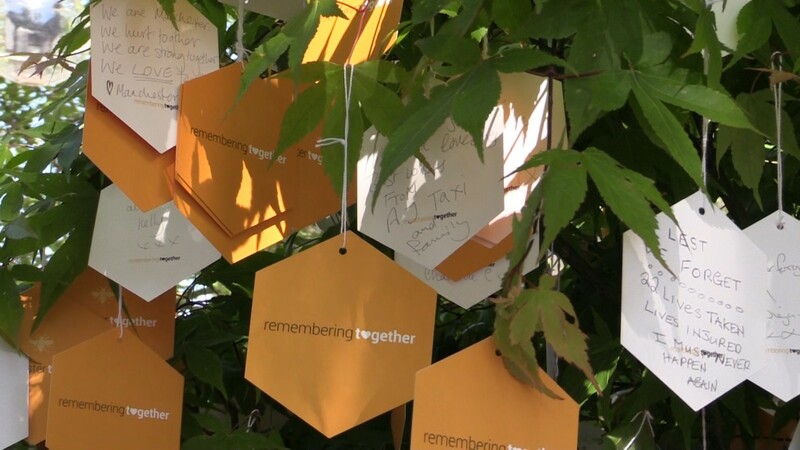 Poignant messages left on Trees of Hope trail leads from St Ann's Square to Victoria Station. A year ago today a terrorist attack at the Manchester Arena claimed the lives of 22 people, many of them children. Today Manchester honours the memory thosee victims with a series of events and tributes, including a Trees of Hope trail around the city. 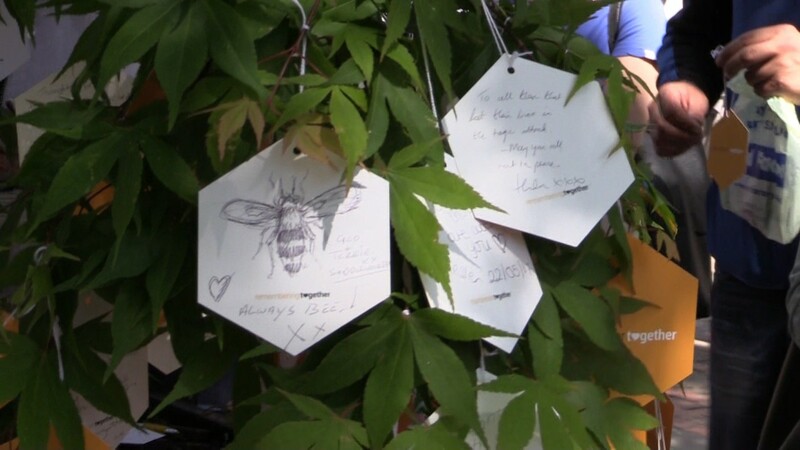 The trail, which stretches between St Ann's Square in Spinningfields and Victoria train station, consists of a number of trees from which the city's residents are encouraged to write messages on cards to hang from branches. Trees of Hope - remembering the Manchester Arena Attack a year on from Northern Quota on Vimeo. The messages range from simple well wishes to the victims' families to poignant and profound statements of love and empathy at a time of remembrance. 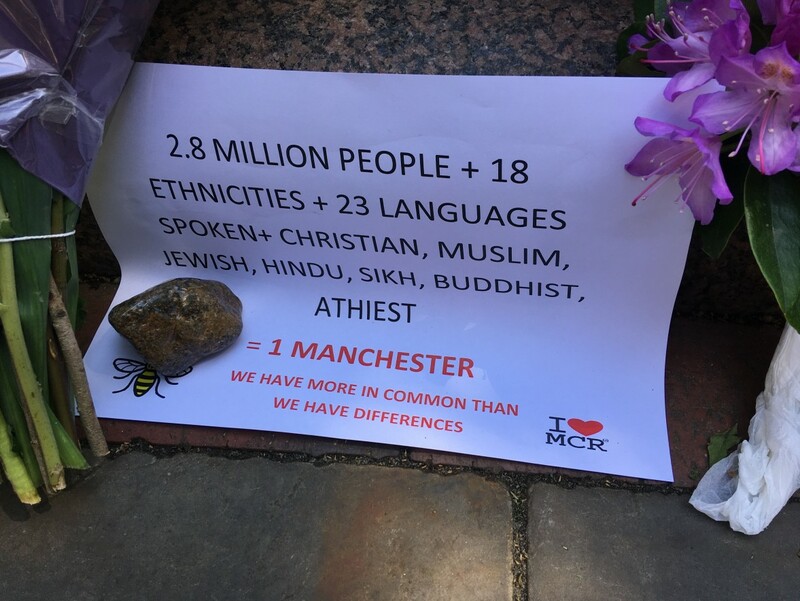 Victoria train station is next to the Manchester Arena and was where Ariane Grande concert goers sheltered after the attack on 22 May last year. St Ann's Square held a memorial service two days later, during which those in attendance broke into a moving rendition of Oasis's Don't Look Back In Anger. 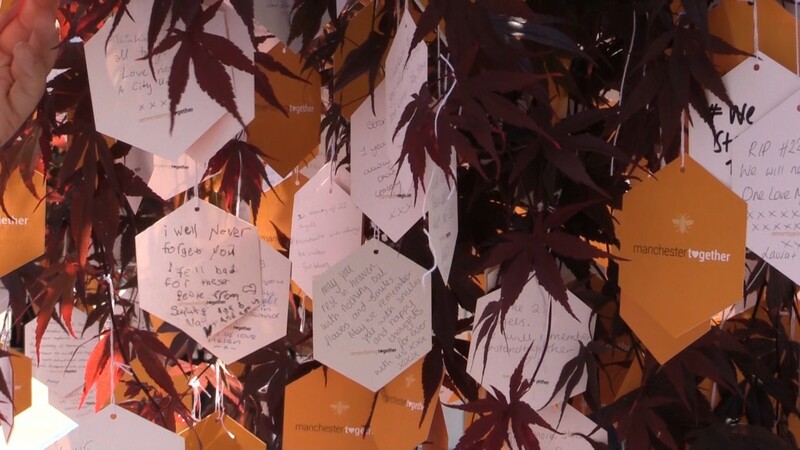 Mancunians from all walks of life have contributed to the Trees of Hope trail and the volume of messages has been such that the organisers have been periodically photographing, archiving and removing the messages to make more space. The archive will be made available to the public at a later date by the Manchester City Council.